Although there are lots of great PDF readers out there, if you were hoping to use them to join PDFs together or edit them in other ways – you’re bound to be disappointed. The fact of the matter is that PDF readers are rarely able to edit PDFs, which is why you need to look for alternative options. If you’d like to merge PDF files or edit and manage them in other basic ways – try Movavi PDF Editor instead. It is a simple tool that has the functionality you need to perform a lot of different types of alterations to your PDF files. In this tutorial, we will use the well established Movavi PDF Editor to merge PDF files together, just start by launching it. In the interface you’ll see a frame of broken blue lines in addition to a button labelled ‘Open File’. Normally if you want to add PDF files you’d drag and drop the file into the frame or click the button, but in this case you should click on the ‘Merge Files’ button located towards the upper right hand side instead. After you click on that button Movavi PDF Editor will open a new window that will allow you to select and merge as many PDF files as you want. To add PDF files that you want to join together, click on the ‘Select Files’ button near the bottom of the window or drag and drop them into the window if you prefer. As you start to add PDF files to Movavi PDF Editor you’ll see them listed in the sequence they were added. If you want you can rearrange the order that they’re in by dragging them around until you’re satisfied. After you’re done all that remains is to click ‘Merge’ and the PDF documents listed will be joined and will be opened in a new tab so you can edit it further if you want to. It is worth noting that Movavi PDF Editor can perform a lot of other tasks aside from just merging PDF documents together. In fact you can manage the contents of your PDF files further by adding or removing pages and rearranging the sequence that they’re in. If you want you could even add images to your PDF files and adjust their size, position and orientation. In some cases you may want to extract individual pages as PDF files or images too – both of which can be done with Movavi PDF Editor. Make no mistake there are lots of other nifty tools that you could use to append information, rotate pages, or alter them in other ways. 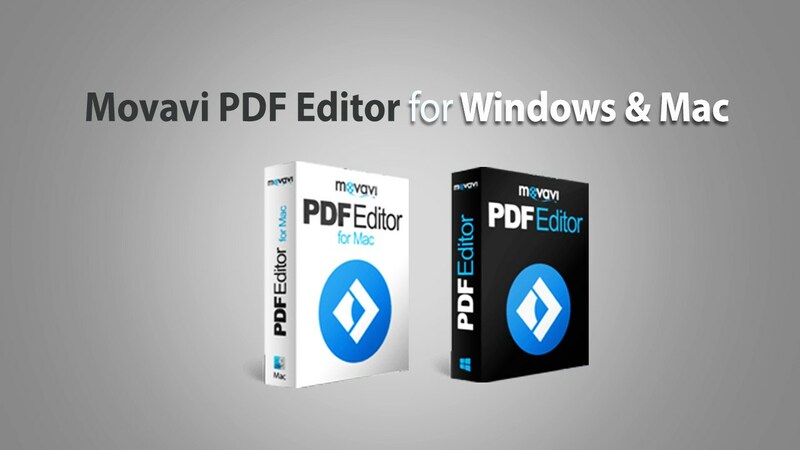 As you explore the features in Movavi PDF Editor you’ll see that they are all intuitive and easy to use. That in itself is reason enough to try it, as it will give you a robust editor that can help you to handle and manage PDF files more reliably.